For those of us that begin to first experience vision problems when we’re adults, we understand how difficult getting accustomed to living and dealing with such issues can be. Imagine how much more challenging that can be for kids. Fortunately, detecting and diagnosing problems with one’s sight early in life helps improve the chances of potentially overcoming those issues or in better preparing to deal with them effectively. However, you’ll quickly find that it takes a special kind of Optometrist to deliver quality eye care for children. If you are from Redmond, WA or North Seattle look no further. That’s exactly what you get here at Alderwood Optical and Canyon Park Vision Clinic. Thus, the American Optometric Association recommends that kids exposed to such risks begin having eye exams as early as 6 months old. Such exams should continue annually or at least bi-annually throughout their childhood and adolescence, depending upon their individual circumstances. Our optometrists are equipped to handle all manner of pediatric eye problems. Even conditions as complex as pediatric amblyopia can be overcome through the right course of vision therapy. Others like strabismus may require eye surgery, which will give kids the best chance of successfully dealing with such problems throughout their lives. We at Alderwood Optical and Canyon Park Vision Clinic love working with our pediatric patients from Redmond, WA. Their excitement and enthusiasm in tackling their vision problems head-on inspires us to work even harder to deliver the absolute best level of care possible. Whatever form of vision correction your child may need, be it getting fitted for eyeglasses to receiving advanced Ortho-K or Corneal Refractive Therapy (CRT) treatment you can trust in our ability to provide it. 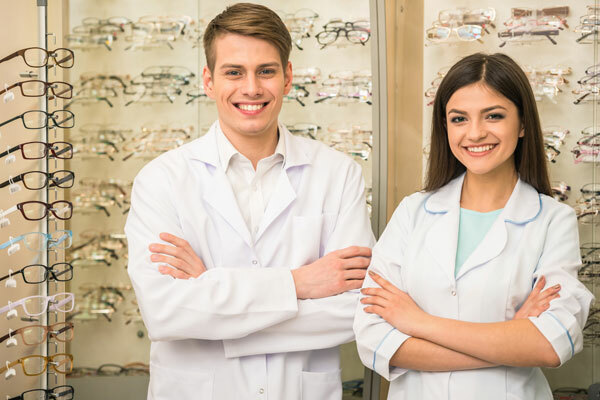 To schedule an appointment for you and your child to meet with one of our outstanding eye care providers, fill out our online contact form, and someone from our office will get back to you. Or, if you prefer, simply call us today at (425) 771-8472 or (425) 485 0430.